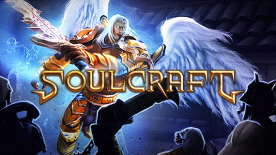 With over six million users SoulCraft is one of the best Action RPG games for Android, iOS and Windows Phone - now it is also available on PC! Have you ever levelled up a ranged hunter or a wild melee fighter in good old Hack ‘n Slash fashion? Collected loot en masse and upgraded countless equipment to epic proportions?! Felt good, didn’t it? Then now it's time to fulfil your destiny: Do your duty, be a legendary hero and fight for the balance of life itself and be a beacon in this darkest of times in the action RPG SoulCraft. Become an arcane legend and bring back order into a world of chaos. Unleash your wild blood!